We recommend, if you are researching payment alternatives, to learn more about the numerous grant programs and resources available. The federal government provides grant funds for students attending colleges, career schools and universities. Grants are not loans and do not have to be repaid. Information about scholarships is also available. Enter the word disability in the search to find scholarships that are specifically for students with disabilities, or you can just search for a field of study or major such as music, law enforcement, biology, social work, etc. For more information visit https://studentaid.ed.gov. Members of the American Association of People with Disabilities (AAPD) can join the Digital Federal Credit Union (DCU) to take advantage of access loans to assist someone with a disability. To use the services of the DCU you must first join the AAPD. Membership is only $15. To join both AAPD and the Digital Federal Credit Union (DCU) at the same time, you can do so from the DCU website at www.dcu.org or by calling them at 800-328-8797. At the DCU website click on Loans/Visa and then other loans and then Mobility Vehicles and Access Loans. The Access Loans can be for up to 72 months and require no down payment. Assistive Technology Fund (ATF) which is operated by the Association of Blind Citizens. If the person qualifies the ATF will provide funds to pay for 50% of the MSRP of the adaptive device. The applicant must be legally blind and a resident of the USA. Applications are submitted by email (atf@blindcitizens.org) only. Go to www.blindcitizens.org for more details (look for Assistive Technology Fund in the left column), and to see the qualifications and the application. Many Lions Clubs provide vocational assistance to persons who are legally blind. The international office refers requests for equipment or other assistance to the appropriate district offices. Credit-Able, the Georgia Assistive Technology Loan Program, provides low-interest loans through participating credit unions to enable Georgians with disabilities access to affordable financing for Assistive Technology and Home & Vehicle Modifications. If you have a vision problem that prevents you from carrying out the activities of daily living, getting an education or a job, there is help. The Division for the Blind and Visually Impaired can provide many services to persons with severe visual impairments. Program Director: Kathleen Laurin, Ph.D.
MonTECH’s Assistive Technology Program offers a Financial Loan Program to assist Montanans with disabilities or their supports in obtaining assistive technology equipment. Eligible AT equipment may include but is not limited to: devices for vision, hearing, and communication; computers and software; wheelchairs, scooters and mobility systems; electronic aids for daily living; recreational devices and modifications; and home modifications. A variety of Enhanced Vision’s Low Vision products are on display in the MonTECH Demonstration Center and are also available for trial purposes through the MonTECH Equipment Loan Program. Assistive Technology of Ohio (AT Ohio) is a federally funded nonprofit organization housed at The Ohio State University. AT Ohio’s mission is to help Ohioans with disabilities learn about or acquire assistive technology. Assistive Technology refers to devices, equipment or services that assist individuals with disabilities to function independently in the areas of work, home or schoolOhio is the officially designated tech act program for Ohio. The Mission of the Vermont Assistive Technology Program is to increase awareness and knowledge, and to change policies and practices to ensure assistive technology is available through all services to Vermonters with disabilities. Providing Assistive Technology resources and expertise to all Washingtonians with disabilities to aid in making decisions and obtaining the technology and related services needed for employment, education and independent living. Lions Foundation of Washington works with each chapter in the state of Washington and will typically pay for half the cost of a video magnifier with the chapter picking up the other half. 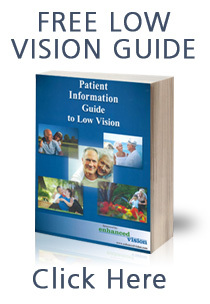 The end-user needs to be evaluated at one of the Lions Low Vision Clinics in the state in order to start the process. For more information about this program please contact Gael at the Lions Low Vision Clinic of Bellevue at 425-558-4228. The program is open to Wisconsin residents of all ages who have a disability. There are no income requirements, and individuals are not required to exhaust personal or public funding. Under the program, banks provide loans to qualified borrowers. Loan amounts depend on the item purchased and the ability to repay the loan.